The benefits of sport on a young person’s life are unarguable. Of course, the obvious benefit is on their physical health and fitness. With rising obesity figures in children, it has never been more important to encourage children to adopt a healthy lifestyle by participating in sport from an early age. The chances are if they enjoy physical activity in childhood, they will carry the habit through into their adult lives. As well as the health benefits to the individual, a nation of healthier people reduces the pressures on our health services to support conditions related to obesity and lack of activity. Then there’s the mental health and wellbeing of young people. It’s been proven that physical exercise has a positive impact on mental health – simply participating can lift someone’s mood. Not to mention the personal qualities one develops as a sportsperson – tenacity, the will to succeed and never give up, graciousness in the face of defeat, self-improvement. All of these qualities go a long way in helping young people cope emotionally with the challenges they may face throughout life. As well as health benefits there are huge social gains to be made by being involved with sport. Sports and activities offer children and young people a place where they can be themselves and socialise with like-minded friends. It helps give them an identity and a place – even when other areas of their life may be falling apart around them. Sport requires collaboration, teamwork, humility and altruism – qualities that a young person can take forward into their social lives as well as whatever career they follow, in sport or otherwise. What’s more, there is research to suggest that children who participate in sports and physical activity achieve better results at school. It’s certainly true that healthier, happier children learn better. Sport can also improve determination and self-discipline, and both of these behaviours have a positive effect on academic study. With such clear benefits to taking part in sport, it’s vital that a child or young person’s first experience is a positive one that will make them want to do more. However, not all athletes have a positive experience in sport. Due to the competitive nature of sport, in the wrong environment it can become a very stressful experience. Young people may compare themselves to their peers and develop feelings of inadequacy, may fear making a mistake and dread losing or ‘failing’. They can become fixated on winning and believe this is all that matters. Rather than making young athletes feel better about themselves, they can begin to lose their sense of self-worth. This not only affects the engagement of the individual in the sport itself, but feelings of inadequacy can creep into other areas of their lives and impact their attitude as a whole. Of course, the training environment is central to the behaviours and attitudes a young athlete develops. And there’s where the right coach can make a difference. There are many factors that determine whether a young person has a positive or negative experience in sport. One of these is what we call the motivational climate – basically the attitudes and behaviours within the training environment. The fact is that most coaches take on their role because they are passionate about their sport, about promoting it to young people, and about seeing young athletes grow. So it’s great news for coaches that they really can make a difference to a young person’s experience of sport for the better. Anyone who has worked within this field will tell you that creating a motivational climate that optimises the performances of every athlete in the team is no easy task. But with the right knowledge and strategies to empower them, coaches can increase motivation and maximise the sport experience for every child. Empowering Coaching began as a research project within Birmingham University’s School of Sport, Exercise and Rehabilitation Studies. The work of the researchers focused on understanding the role of coaches and teachers in promoting or undermining young people’s motivation, wellbeing, quality of engagement and physical activity levels. This scientific research has made the Empowering Coaching team fully aware of the key aspects of the coach-created climate that can positively or negatively influence the motivation and wellbeing among those engaged in physical activity. The Empowering Coaching approach is based on theories of motivation and leader influence as well as research evidence in sport and other domains such as in the classroom. The Empowering Coaching programme helps coaches, teachers and instructors to understand how to maximise the quality of the sport experience for every athlete, at any level. It’s an educational course that is open to sports coaches, dance instructors and P.E teachers and aims to help them assess and modify their own coaching strategies to enhance the motivational climate in their class or club. As well as working with individuals, the Empowering Coaching team have partnered with a number of sports clubs and associations in the UK and internationally. 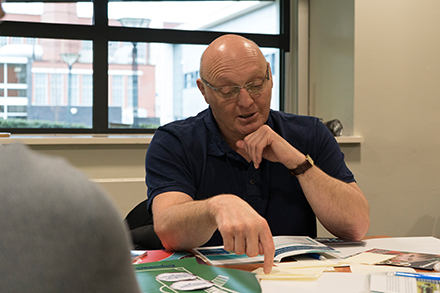 From community groups to elite sports clubs, our research-based training is empowering coaches to make sport more enjoyable, engaging and empowering for everyone. With empowered coaches, everyone can enjoy the benefits of sport.